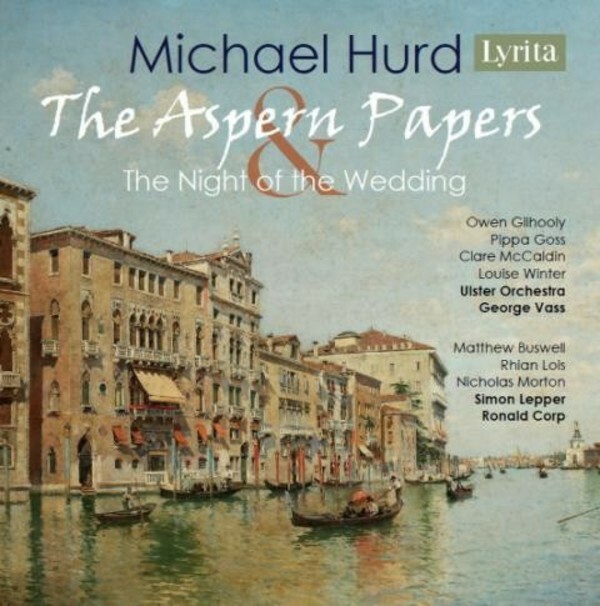 Michael Hurd was born in Gloucester on 19 December 1928. He studied at Pembroke College, Oxford (1950-53) with Sir Thomas Armstrong and Dr Bernard Rose and became President of the University Music Society. In addition, he took composition lessons from Lennox Berkeley. Following a six-year term (1953-59) as Professor of Music Theory at the Royal Marines School of Music in Deal, he settled in West Liss, Hampshire, dedicating the rest of his life to a variety of musical pursuits - composing, writing, conducting, lecturing and broadcasting. He travelled widely and was a frequent visitor to Australia where he helped to found the Port Fairy Music Festival which staged the first performances of his last two operas. He died in Petersfield, Hampshire on 8 August 2006, at the age of 78. It is the year 1880. Harry Jordan, a handsome young American biographer, is researching the life and work of the poet Jeffrey Aspern who died in tragic circumstances in 1822. He has discovered that Juliana Bordereau, Aspern's last mistress, is living in poverty in Venice with her niece and companion, Miss Tina. Miss Bordereau is said to own certain unpublished manuscripts relating to Aspern. With the help of his friend Mrs Prest, he hopes to rent rooms in Miss Bordereau's decaying palazzo and so gain access to the coveted Aspern papers. De Polisson's drawing room, Paris 1810, evening. The Marquise bursts into the peace of the Count's evening, in distress. Tonight is her wedding night, her parents having forced her to marry a fat old glutton. Unable to contemplate her bridal duties, she saw the Count's lighted windows and throws herself on his mercy. She notes that his manservant is a handsome chap. The Count feels a very strong attraction to her - and clearly has a duty to lend a helping hand, if not more. The Marquis however has followed his bride and erupts into the drawing room. A challenge ensues and a duel is agreed - but inside the house. In a scene of confusion the young lady is apparently shot dead. Aghast and at a loss as to how to spend his wedding night now, the Marquis is advised by the Count that ladies of a certain reputation live nearby. The two men go off arm in arm, leaving the 'body' to Antoine. "He will know what to do with it". Furious, the Marquise rises, and having cursed both men, lies back down again as she realises with a smile that Antoine will very likely know "what to do with her" on discovery.